"Overall, the service has been exceptional – not just in the quality of the people we have been able to recruit and their readiness to commit to the role, but also in the training support offered to them all by the National Governance Association." Inspiring Governance is a free, online service that connects volunteers who are interested in becoming governors and trustees with schools that need them. One of the eight elements of effective governance is having the right people around the table. Ensuring your board has a good blend of knowledge, skills, and experiences, along with a balanced and diverse set of views, is essential to driving school improvement. 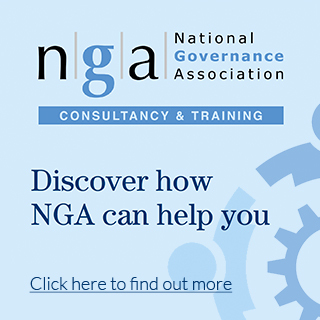 Whether you have a current vacancy to fill or you just want to browse, Inspiring Governance gives you access to volunteers from your community that want to become a governor or trustee and free support is provided to your appointees by the National Governance Association. Our innovative mapping technology lets you connect with volunteers based on their location and skills. Inspiring Governance is available to all state-funded schools in England that need to recruit governors or trustees, and is used by thousands of chairs and clerks of governing boards. Recent developments to the service introducing a ‘multi-school recruiter’ option means that it is easy for those who need to recruit governors or trustees for multiple schools including multi academy trusts, local authorities, dioceses and federations to do so. Volunteers sign-up to become a governor or trustee, providing their location and listing the skills and experience they can offer to a board. Governing boards seeking new volunteers can view all the volunteers in their area or specify the skills they're looking for, connect with volunteers directly and begin the process of recruiting. An example of the mapping technology that enables you to view volunteers in your local area. if aged under 40, membership of the Young Governors’ Network. This support and training is designed to complement local and face-to-face training. Sign up to Inspiring Governance – you’ll need to share a few details to get set up. Create an opportunity including details of your school and the vacancy. Use the map to explore the profiles of volunteers near you. Connect with volunteers you are interested in through the platform by sending an invitation. Communicate with volunteers through the platform’s messaging system where you can also exchange attachments. When you and the volunteer are ready to progress, follow your normal recruitment process to check they are right for your governing board – this should include an interview, visit to the school or observing a governing board meeting. When you appoint a volunteer, let the Inspiring Governance team know to access the free support service. All opportunities are made public within the platform, so they can be viewed by volunteers. You can browse volunteers too – useful if you don’t have a current vacancy or just want to see who is in your local community. It is your responsibility to ensure the volunteers are right for your governing board (and that your governing board is right for them), including completing DBS checks and references. Inspiring Governance is funded by the Department for Education. 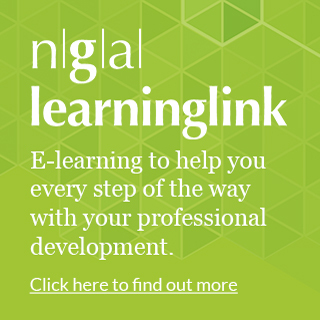 It is run by the charity Education and Employers in partnership with the National Governance Association (NGA), with support from Academy Ambassadors, the Association of School and College Leaders (ASCL) and the National Association of Head Teachers (NAHT).